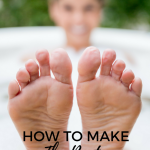 I KNOW you’re here because you’re curious about the 3 Day Military Diet! You’ve seen the results and you’ve heard all the buzz!! Yes, the 3 Day Military Diet does work and I want you to ROCK it! So here it is, Your Ultimate Guide to the 3 Day Military Diet!! 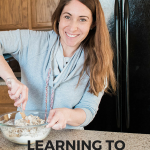 I am here to walk you through all the details and also some little hacks that will help to optimize your results and avoid major starvation in the process! I’ve got your back! Let’s DO this! Legal Disclaimer: This information if only informative: Please consult with your doctor before starting this diet. Dinner–3 ounces of any type of meat, 1 Cup of Green Beans, 1/2 Banana, 1 Small Apple, and 1 Cup of Vanilla Ice Cream (YUM)!!! Warm the apple and/or banana and eat them over the ice cream. Delicious! Substitute Ice Cream for Greek Yogurt – the added protein will help with hunger! This diet works on chemical breakdown and is proven. Do not vary or substitute any of the above foods. Salt and pepper may be used, but do not use any other seasoning. The diet is to be used for three days at a time. In three days you should lose up to 10 pounds. After three days of dieting, you can eat your normal foods, but do not over do it. After four days of normal eating, you may start back on the 3-day military diet again. You can lose up to 40 pounds in a month if this diet is followed precisely. This is a safe diet and can be used by many different individuals and body types. Exercise is recommended. REMEMBER: Do not eat/snack between any of the meals! NOTE: Coffee or tea for the first two meals of Day 1 only. Water only from then on. Water intake is always unlimited anytime. To sweeten tea and coffee stevia may be used! Drink plenty of water – at least 2/3 your weight in ounce this will help you to feel fuller! Toast = 1 slice of any type of bread but preferably whole wheat bread. Can be toasted or ate without toasting. Peanut Butter = Can be home pressed or bought by the jar for convenience. Choose brands with less sugar (such as JIF®). Can be crunchy or smooth. Coffee or Tea = Plain, black coffee or tea that is caffeinated. Nothing added. Tuna = Fresh or Canned tuna fish. Any type meat = Exactly that, any type of meat, May be fresh, or canned meat. Includes but not limited to: Seafood, beef, pork, or poultry. If opting for canned or deli meat, buy the lowest in sodium and fillers, and the closest to fresh as possible. Vanilla ice cream = Plain, straight, and regular vanilla ice cream. Nothing added. Egg: Where it’s not specified, the egg can be cooked in any manner that you prefer. For a hard-boiled egg, start in cold water and bring to a boil. After water begins boiling, cook for about 12 minutes. Saltine crackers = Plain soda crackers. If not available, just use plain crackers. Hot Dogs: Beef franks, turkey franks, etc. Franks with only one type of meat. The cheap, mixed meat wieners, with unhealthy fillers, are not recommended. Slice of Cheddar = About two ounces of cheddar cheese. 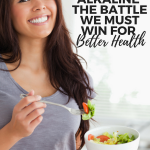 I have personally tested this diet and so have many of my readers! All have had varying levels of success with the military diet. It really is dependent on how much you have to lose and how focused you are during the 3 days! I highly recommend using a glucose metabolic management supplement to help stabilize your blood sugar levels while attempting the military diet. I really like this one from NOW® Foods. How many hours in between do you eat? where do I go to follow you and get more tips? Patricia, I am on Instagram @andiethues, on Pinterest AndieThueson and I offer lots of tips and help on my Facebook page Maybe I Will!! Love connecting with my readers anywhere they prefer to follow! 🙂 Thanks For Stopping By! can you smoke or chew tobacco while doing the 3 day military diet? I just noticed that my green tea is decaffeinated . does that really matter? I think that would be a great swap! Losing pounds on this diet really depends on how much an individual weighs. It would be helpful if people posted their weight and height to get an idea. I`m 5″9′ and weighed 135 lb before trying this out. I`ve lost 4.4 pounds but only because I tweaked the diet. Instead of ice-cream I ate 2% Total Fage Greek yogurt with cinnammon, mixed the apple or banana in it, very filling because of the added protein; instead of Saltine crackers I ate Passover whole wheat matzos, did not eat the cheddar cheese but substituted with cottage cheese and instead of hot dogs I ate Trader Joe`s uncured chicken sausage. I`m not a fan of green beans, so I ate spinach instead, mixed uncured turkey and some yogurt in it. All this made this diet quite healthy. I`m a very fit person and this diet left me with no energy throughout the day, all I kept thinking about was my next meal since I`m used to eating every 4 hours. It was pretty hard but I made it. I didn`t give up my coffee, drank it black or added 1 plain coffee-mate creamer. As far as exercise, I jogged for about 30 minutes the first day, played light tennis for a couple of hours on the second day and rested the third day, had no energy left. I`m used to aerobic workouts every day but that was impossible to do with the lack of energy. I really believe that the ice-cream is a reason why people don`t lose as much weight as they hope for. So I suggest trying the greek yogurt, its quite tasty and filling! Good luck to everyone! Tried it so much times, and it was very tough that I cant stand smelling tuna now!! but it did work for me and I really dont eat the ice cream maybe thats why I lost from 2 to 4 pound a time. And I did drink coffee all the 3 days with .5 to 1 hour of exercise a day. Hi, I am on my 1st day of the diet. In between the hours, I ate 2 graham crackers because I just could not go without feeling like I would pass out. 2 graham crackers are less than 25 calories. Do you think I should continue or stop because of the 4 graham crackers (halves) so that would equal up to one full graham cracker. Hello I’m on day 2 of the military diet and I was doing really good until my mom came in with a cheesesteak and I ate it because I didn’t want to waste her money. Afterwards I went jogging for 30 minutes. Should I kust start the whole diet over or continue it? AWWw man 😔 Even though I workout afterwards? may i eat almond butter instead of peanut butter? I have about 30 pounds to lose, right now i am at 150. I hit this diet on Friday and saturday night i really felt hungry but that is usually our pizza night. I had a difficult time fighting the hunger cravings that night…but i want results. Sunday i got on scales and noticed i was down 5 pounds! Monday morning i was down another 3, so total of 8 for me without working out! Im impressed! Heey soo do u repeat the diet the whole month or do it for 3 days, eat regular food for 4 days and start over ? You do the diet for 3 days and take 4 off then repeat! This is my 4 th time trying. I feel I am doing good each time, but some where I cheat.I did one last week.I lost 3 pounds between 1st and 2nd day.Third day I end up eating two slices of pizza :/ I gained the weight I lost. I am trying again today. It is very difficult as we cannot snack on anything. I did good so far. But I can’t wait for dinner. I am on day 3 of the diet. I have followed it to a T and i jumped on the scale this morning and i was the same weight as when i started! I guess i will see what tomorrow morning says but so far i am frustrated with this diet. It hasn’t done anything for me. I have also been drinking alot of water in between. I havent felt hungry really which is good but i havent seen any pounds drop. I will check my weight tomorrow morning after the diet is complete and comment the results. When I did it initially my results were lackluster as well…. 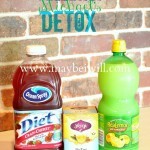 I think this diet works best if you have significant weight to lose. Can I chew gum? The gum I have is sugar free, but it has 5 calories. Just keep going! You got this! My question is about the ice cream- plain, yes; but the one I have has 7g of fat & 13 sugars-is that still ok? I’m not looking to substitute! I just want to be using the ice cream that will help me loose weight the most. That should work just fine! I actually have this gift that I don’t dislike ANY food on the planet (haven’t found any yet) so the plan is not a problem at all, food-wise… I just finished my second day… first time I started feeling a little weakness, although not hungry or craving food. I’m drinking tons of water throughout the day so I’m hydrated. Will push through the last day and hope for the best. Just was wondering… is there anything, and I mean ANYTHING else you can put into your mouth during this diet besides water and gum? That’s awesome! What a cool super power! Unfortunately your eating options are SUPER limited on this one! 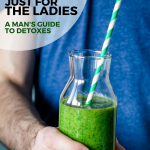 – Try one of my other detoxes with the meal plan! Way more food! I just stumbled on your site and I was glad I did! Losing less than 2 pounds isn’t bad at all. Maybe you don’t need to lose that much excess fat. While at the diet, did you suffer from irritability or changes in moods because of the low-carb? Is it ok to fill a little weak? Today is my frst day diet .I am feeling so hungry ,what do for feel full and i ‘ll interest to one month . I ‘ll get result or not ,becoz I tried lot of diet plan . I am on day 2, and have not lost anything. I have followed the diet to the letter, but I am drinking water infused with apple and cinnamon. Does that hurt anything? Not all!! If anything the cinnamon apple water will help! Can I substitute organic applesauce for the small apple? I googled it and can’t find a clear answer. A small apple is 95 cals and the organic applesauce is 50 cals. Drea – stick with the apple it will not have the added sugar of applesauce and will provide more fiber to keep you fuller! Hi I am on day 2 of this diet and so far I have lost 4lbs between following this diet and going back to the gym. Any suggestions on other healthy meals for the 4 days off? I would like to stay on a healthy eating schedule. Thank you! Rock on that is awesome!!! 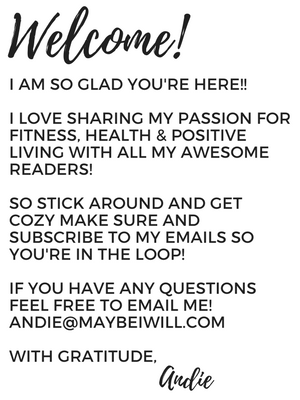 What is your email and I will send you my free 7-day clean eating guide – it’s full of yummy healthy, recipes and snack ideas! What is the healthiest way to season my chicken while on the military diet? Lisa, Any low sodium seasoning will work just fine. If you are wanting to use salt and pepper – use a sea salt. Hope that helps! Good Luck! Hi I finished the diet yesterday and lost 4lb. I was dissapointed ( only because I hadn’t read this tread, and thought I would be losing 10lbs) I think I will try it again after 4 day rest. Another thing was I used granary wholewheat bread is that ok? & Lastnight I had an awful pain in my body it felt as though I was in labor I couldn’t sleep and felt really very weird. I feel fine now though. One more thing can we take vitamins like sea kelp and vitamin d? Kay, Congrats on the 4lbs!! The weight loss is really dependent on how much overall you have to lose. I only lost a couple pounds but percentage wise it was a healthy drop for 3 days! Vitamins are totally ok to continue taking while doing the day diet! In fact, I recommend doing so! Drink lots of water…….chew gum…and excercise…. Nancy! Thanks for your feedback and for sharing your success!! Yasmin – That is totally normal – stay the course and you might see a big drop tomorrow! Depending on how much you have to lose a lower weight drop can happen – I am at a healthy weight and I dropped 3 pounds. I was bit disappointed too but percentage wise that was a good drop for me in three days! I found of I stay exactly on the 3-day the weight will come off. I’m hungry right now but since this diet is working for me the benefits,are worth the hunger pains. Stay with it you can do it. Thanks Carol for your encouragement! Glad you are having success!! 4lbs in 3 days is fantastic!!! How did you weigh in on the 4 the day?? Can I season the meat? Can you do apple cider vinegar while doing this diet? Came across this after I completed my first try. I followed the diet down to he letter and my last meal was consumed by 6pm. It was hard the first day and I was hungry but I actually looked forward to the different food combinations everyday. The most exciting meal was of course Dinner. I tried to part my meals 4 hours apart. and I infused my water with cucumbers. I did notice a little mood swings probably because I was hungry. I was only able to exercise once while on the diet. and as much as wanted to, I did not substitute anything. I’m 5’3 I weighed in the morning before I started at 230 pounds and not to mention I was eating not so healthy meals the day before. I am now on my second try and ill admit haven’t lost as much as my first o round but I am still happy withy results. Since then I have maintained the weight loss with low calorie meals and regular exercise. Should I not put any seasoning on the chicken for the first day of the diet ? Stick with salt-free seasonings like Ms. Dash! Thank you ! I just seen this but I only put Cayenne Pepper on the chicken but I have lost 8lbs. Thank you so much for this. I plan on going a whole month and I will let you know the results. You mentioned substituting greek yogurt (I usually eat Chobani) for the ice cream. Does this hurt the diet? I assume the ice cream doesn’t have much of a part regarding the chemical breakdown that you mentioned but is simply used to keep people from starving too much. This will not not hurt the diet! Good Luck! anxious to see how it works for me! Thank you for your advice on the other replies! Im starting at 230# I have faith! Good Luck Missy!! You got this! 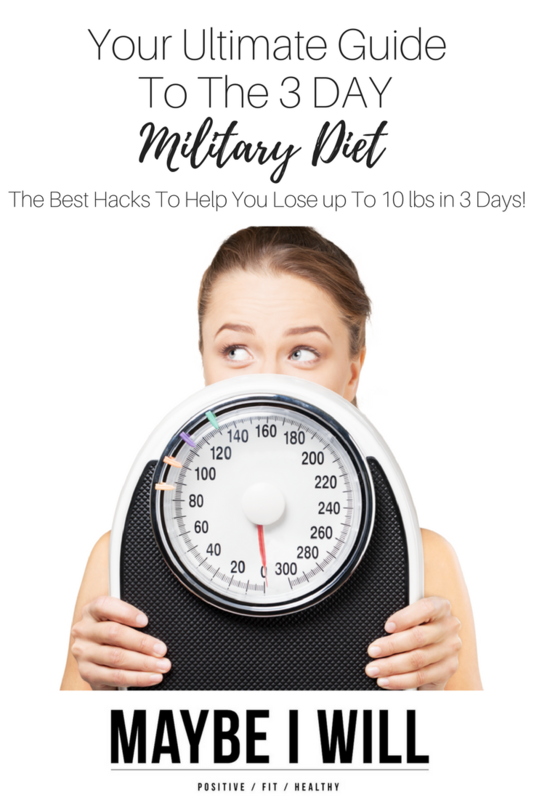 Hello I am a 13 Year old and i would like to Try a diet… do you think The Military Diet would be the right one for me to use and do you have some Hacks for the way? i am hungry can i eat cucumber or lettuces between meals ?? Can you eat pickles between meals? As long as you’re not overdoing it a couple baby pickles between meals should be fine. Hello! The diet calls for 1 slice of cheese, which is supposed to be about 120 calories. Is it okay to eat 2 Sargento cheddar sticks which totals 120 calories (60 calories per stick)? Yep – that will work! I am about ti start this diet tomorrow and was wondering if you could send me meal ideas for the 4 days off. I really want to do well and dont want to blow it on the 4 days off.